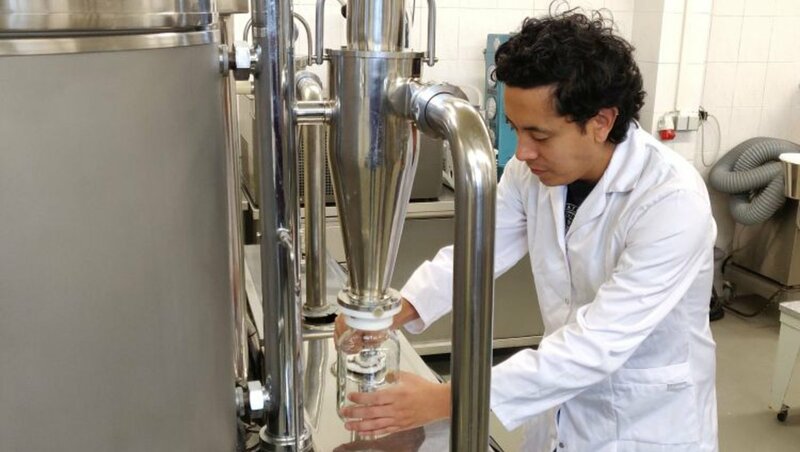 "It was the perfect opportunity to participate in an industrial research project," says Nelson Alejandro Poveda from Ecuador, describing his opportunities of studying the Master's program “Food Science, Technology and Business (BIFTEC)” in three different locations in Europe. Since 2015, this outstanding European degree program prepares students for the upcoming challenges in the food industry, in food technology and in marketing in international companies. Whether it's Ecuador, India or Mexico: There is a high demand from all over the world. The program, which has been open for four years, has already been attended by students from 43 nations. A welcome sign for the program directors. After all, future food science and business issues can not be resolved at a national level alone anymore. Anhalt University of Applied Sciences (Germany), Universidade Catolica Portuguesa (Portugal) and KU Leuven (Belgium) have therefore developed a program to promote innovation and technology in the food sector on an international level. The growing number of applicants shows that the university partners are on the right track. Currently, 45 young people are taking part in the European program. They live and study in Ghent, Porto and Köthen/Bernburg. The program held in the English language intelligbly imparts technological and business knowledge in seminars, excursions, workshops and lectures. With this specific knowledge participants are able to provide food with sensory and qualitative conviction to consumers all over the world. Intercultural, scientific and productive experiences enrich the study program. "There are some industries that work closely with Anhalt University of Applied Sciences because of its high-tech equipment and excellent research conditions," says Nelson Alejandro Poveda. One of the main reasons why he completed his internship and master's thesis in Köthen. Alumni Poveda recommends the study program as a "key to opening one's horizon, making good professional contacts and starting a successful future in the food industry." The still young program will grow over the next few years. The job prospects are already high: After the two-year Master's program, graduates have best chances of solving international food issues around the world either by working in a job or through a doctoral thesis. More information about the program can be found at https://www.hs-anhalt.de/nc/studieren/orientierung/studienangebot/detail/food-science-technology-and-business-master-of-science.html. Applications for a scholarship will be accepted until March 1, 2019. The application for admission to the program is possible until July 15, 2019.